When the mood for dessert strikes, I am there. I consider it a necessity not a choice to try desserts when I am traveling. There isn’t a problem in the world that a good dessert can’t make feel a little better. Here are some of my favorites in no particular order. Lisbon is known to be built on seven hills: Castelo, Graca, Monte, Penha de Franca, S.Pedro de Alcantara, Santa Catarina and Estrela. It makes the capital of Portugal similar to such cities as Rome, Istanbul and Moscow. The views are crazy good from different parts of the city. My hotel was at the top of one of the hills because I was always walking up the wrong street to get there and having to walk down and up again. Walking the streets of Lisbon is a definite workout. Lisbon’s superb natural setting, spread across seven hills facing the Tagus River, offers a network of terraces from which to contemplate the beauty of the city. They are called “miradouros” or viewpoints, they’re usually located at the highest points of each hill, and all have spaces to sit and rest. Some even have cafes serving snacks and light refreshments. I’m usually not a fan of getting lost but I didn’t mind in Lisbon. There are interesting streets that I would have missed. The Barcelos Rooster is considered to be the unofficial symbol of Portugal. The story varies but it has to do with a roasted rooster getting up from the table and declaring a falsely accused religious pilgrim innocent. It is carried for good luck. I buy every country’s good luck charms. 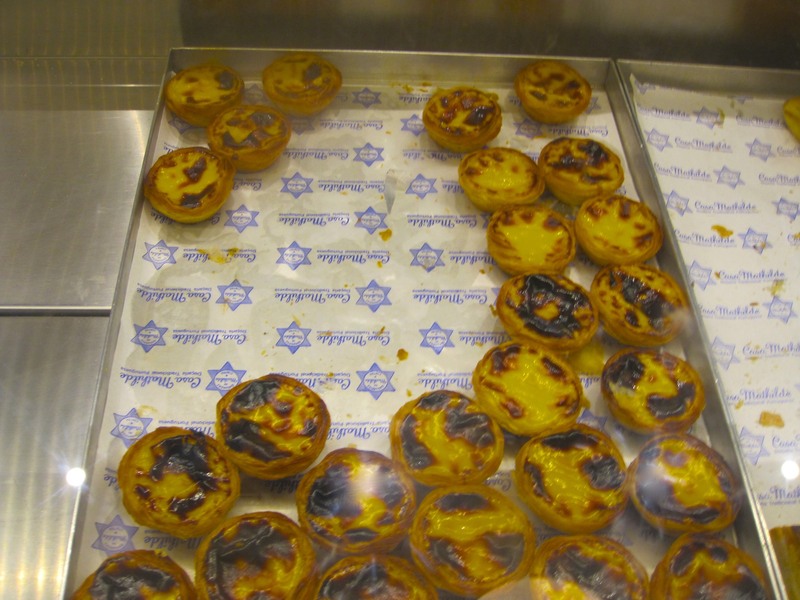 In Lisbon, there exists one of the oldest bakeries that makes Pastel de Nata. It’s located in the neighborhood of Belem. The Antiga Confeitaria de Belém is a favorite of locals and tourists alike. The tarts here are called Pastéis de Belem and served plain with cinnamon and sugar toppings. Lisbon has its own Cristo Rei (Christ the King statue) – a Catholic monument overlooking the city, standing on the left bank of the river. It was inspired by the Christ the Redeemer statue in Rio de Janeiro in Brazil. The statue commemorates Portugal’s survival of WWII. The Jerónimos Monastery was constructed in the Portuguese Manueline style. The Monastery was commissioned by King Manuel in 1501 and took 100 years to finish. The monks role was to pray for the King’s eternal soul and give spiritual help to navigators and sailors leaving to explore the world. Vasco de Gama who is buried here left from this site in 1497. There are no advance tickets so come early or be prepared to wait up to an hour. The cloisters and architecture are magnificent and worth the admission. The Church of Belem is free. Tower of Belem is Lisbon’s iconic landmark. The Tower is located on the Tagus River a twenty-minute walk from the Monastery. It was built in the Manueline style the sixteenth century as part of a defense wall which was never finished. Manueline style is a very specific interpretation of Gothic architectural structure and decoration only found in Portugal.The style emerged during the reign of King Manuel I (1495-1521) but the name was not adopted until the 19th century. Buying gloves at the tiny Ulisses glove shop in Lisbon is a serious experience. They have made unique and high quality gloves in the same way since 1928. Place your elbow on a cushion and have the special opportunity of getting gloves fit to your hand. They are guaranteed for life and you don’t need a receipt as they know which are their gloves. The Vasco da Gama Bridge over the Tagus River is the longest bridge in Europe – 17, 2 km (10.7 miles) long. Fiera de la Ladra (thieves market) is a flea market in the Alfama district every Tuesday and Thursday. A market has been in this place since the twelfth century. It is one of the oldest areas in Lisbon and so beautiful to walk around in. Lisbon was the first city in the world to import Guinness from the UK. Sardines are a typical Portuguese meal . I can live without them but they weren’t that bad served fresh and much larger than the canned variety. Canned fish seems to be a common staple in Portugal and there is a lot to choose from. Right up there with sardines, octopus is the most fished species in Portugal. 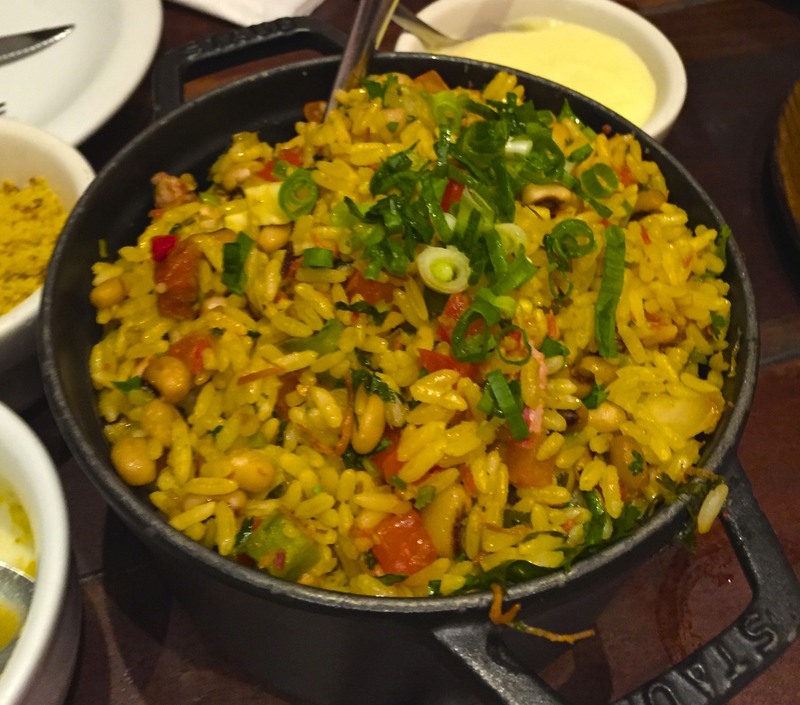 It is one of my favorite dishes and I had it a lot. Eating grilled fish in Portugal (Peixe Grelhado) is an amazing experience. 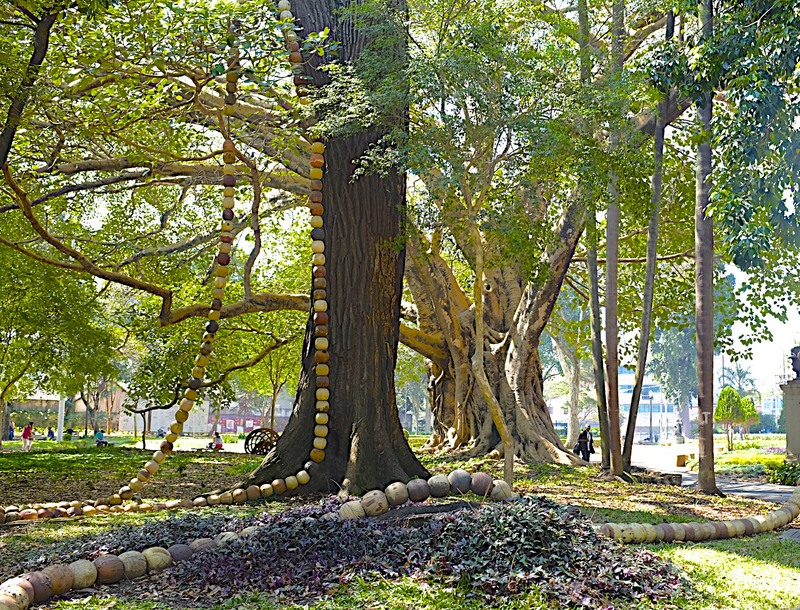 Museu Berardo is a wonderful space for modern and contemporary art in Belem.The collection owes its existence to the Portuguese businessman Joe Berardo who, in his lifetime, amassed a great number of works of contemporary art. The space houses the permanent collection and changing contemporary exhibitions. The Gulbenkian Museum is located in a modern complex with beautiful gardens and ducks, an extensive library and a Modern Art Center.The Gulbenkian collection was mostly collected by Calouste Gulbenkian during his lifetime. 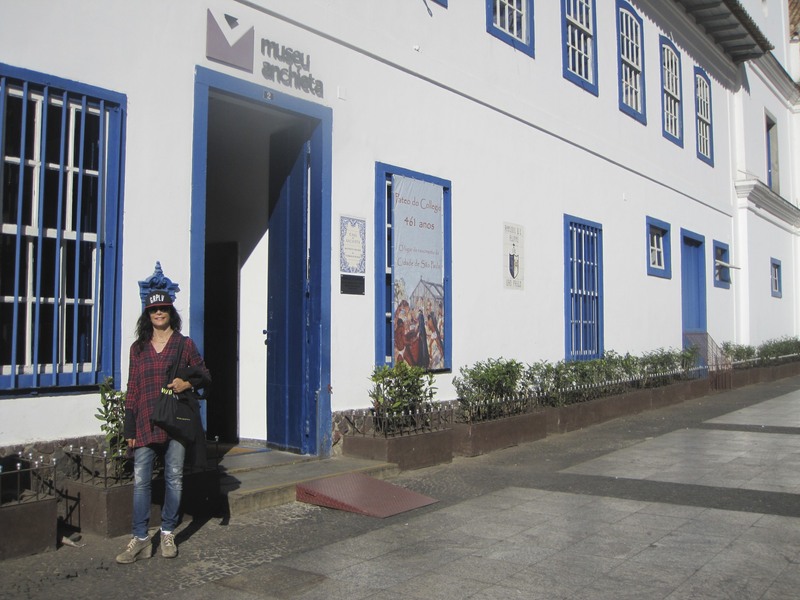 The Modern Art Center(CAM) has an extensive collection of twentieth and twenty-first century modern Portuguese art. Temporary exhibits are scheduled throughout the year of Portuguese and international artists. Lisbon was a love at first sight city for me. It is beautiful, colorful, full of layers and character. People are so friendly and helpful and many speak English or Spanish. The city is relatively inexpensive. Portuguese seafood is a reason alone to come here. It is very easy to get around by walking, taxi, boat or public transportation. I want to return soon. It is important when in Lisbon to eat as many pastries as possible. There is a bakery on almost every corner. I had pastel de nata for the first time at a Portuguese bakery with a very long line in Sao Paulo, Brazil. I cant wait to try them here. 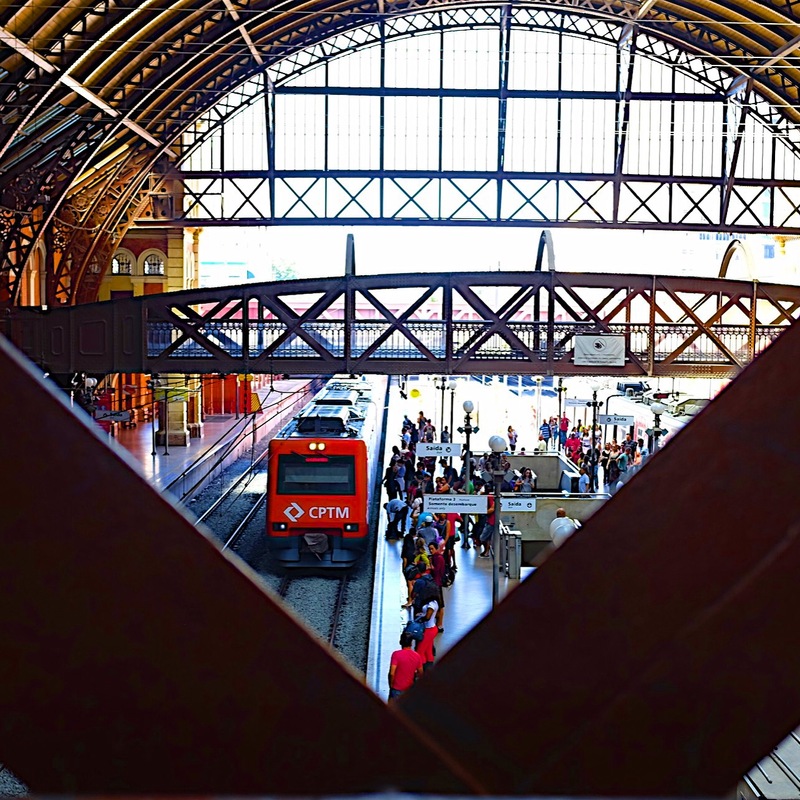 Lisbon is one of the cheapest European cities. Lisbon gets 3000 hours of sunlight every year. 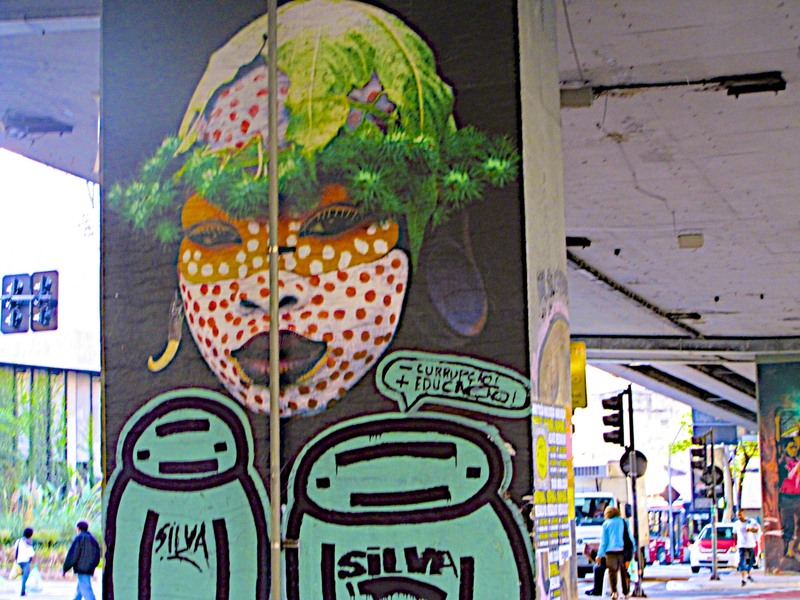 Lisbon is well-known for its excellent street art. Everywhere you turn you will be amazed to see a creative masterpiece. Fado is the traditional folk music of Portugal. It is probably the most melancholy music you’ll ever hear and still somehow makes the ideal soundtrack for every trip to Portugal. About a half hour by train from Lisbon is the fairytale town of Sintra. it is filled with castles, estates, palaces and amazing scenery. The monarchy came here to enjoy the summer. One of the 20th century’s great philanthropists, Armenian Calouste Gulbenkian, left much of his art and historic artifacts to his favorite city, Lisbon. The museum now houses one of Europe’s most epic collections. There’s also an affiliated modern art museum nearby which I am interested in seeing. 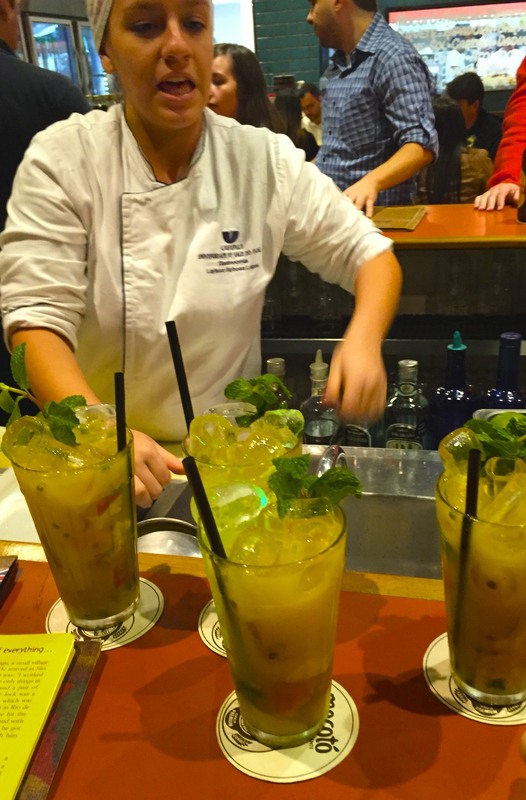 Portugal seems to be in the second-tier in the wine world, right after France, Italy and Spain despite the famous Port Wine and even though Portuguese wines win the most prestigious awards every year. Chances are there is a great quality wine at a very reasonable price waiting for me. Go to the beach. Water is a big part of the Portuguese identity and mine too. size of New York. With almost twenty million inhabitants, it is the biggest city in both Americas and the Southern hemisphere. I guess that is why they have some really bad traffic jams. São Paulo is inland. Los Angeles is on the ocean. They have the same air pollution. Manhattan has many skyscrapers and tall buildings. So does São Paulo. Between the tall buildings, traffic, air pollution and coffee, I felt right at home. 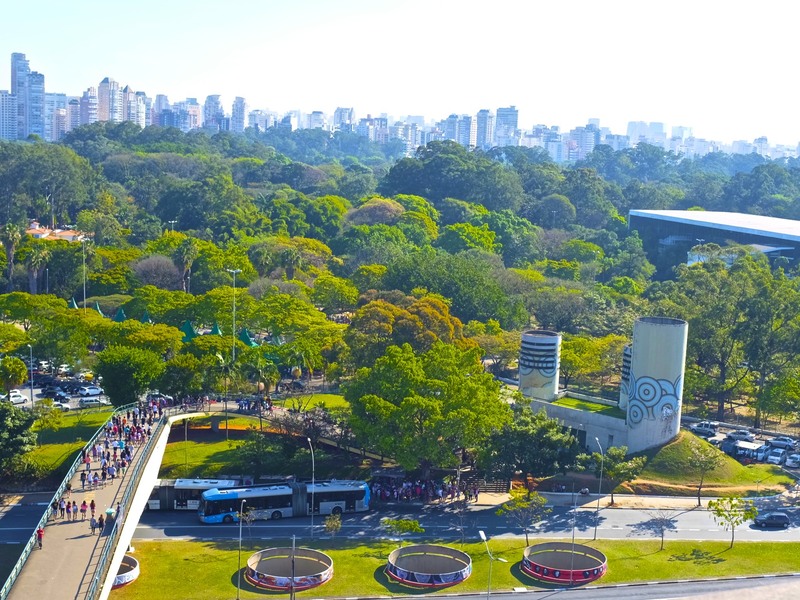 Parque Ibirapuera is the city’s largest green space and one of the largest city parks in Latin America. The name means a rotten tree in the Tupi language and despite the unfortunate name there are many beautiful trees. 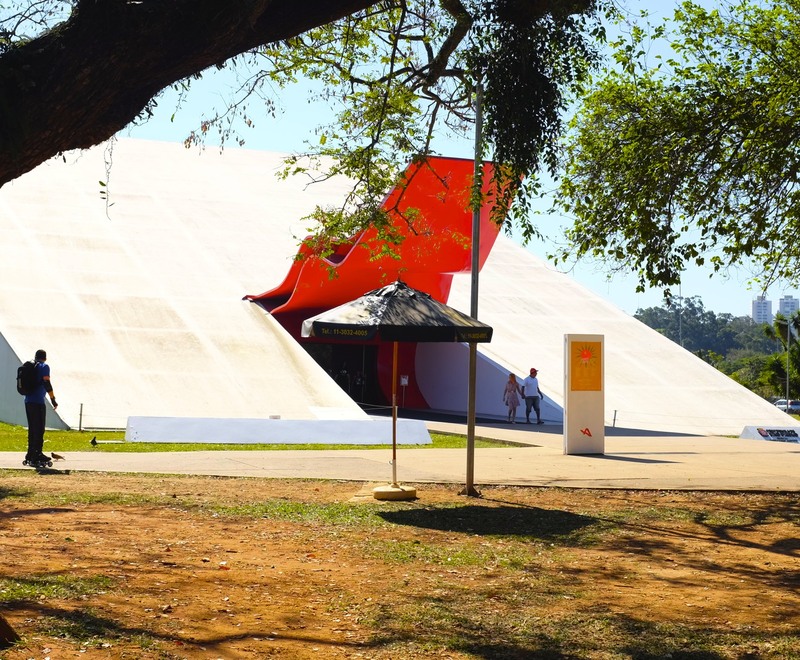 There is plenty to do here…paths to walk or bike or people watch, museums, Niemeyer architecture, a lake, and more. 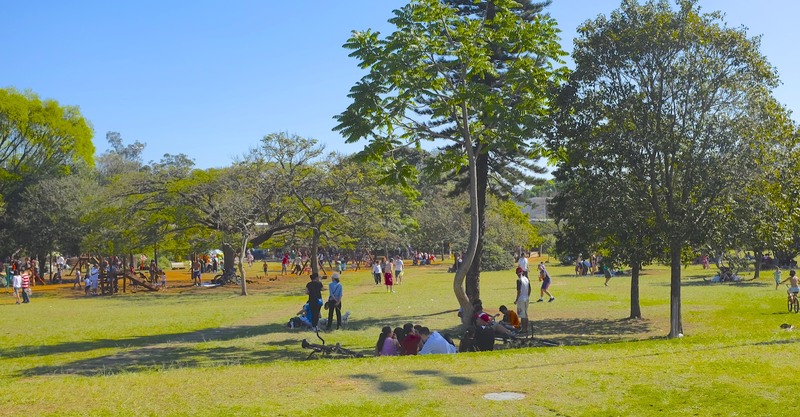 It is rated as one of the best urban parks in the world. The opulent park is so big that you can easily forget you’re sitting in the middle of one of the most populated cities in the world. 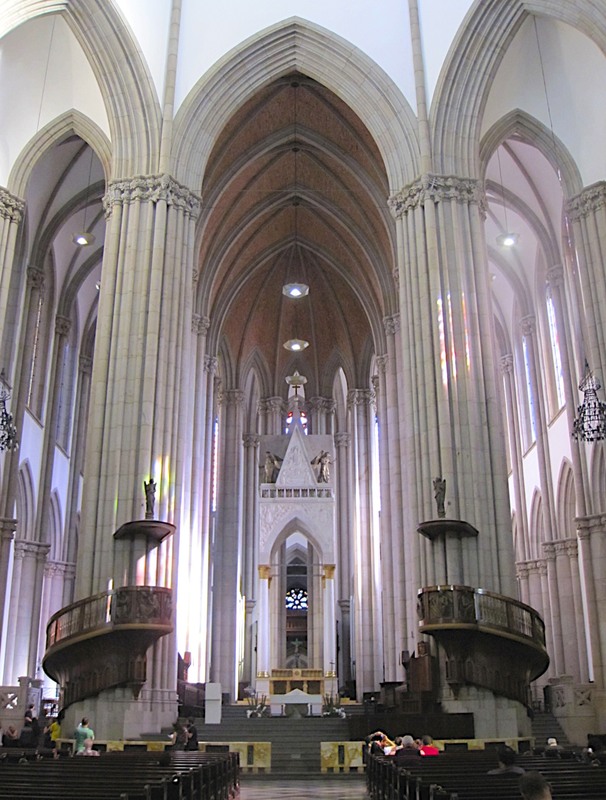 It has over 4000 mostly Brazilian works of art. 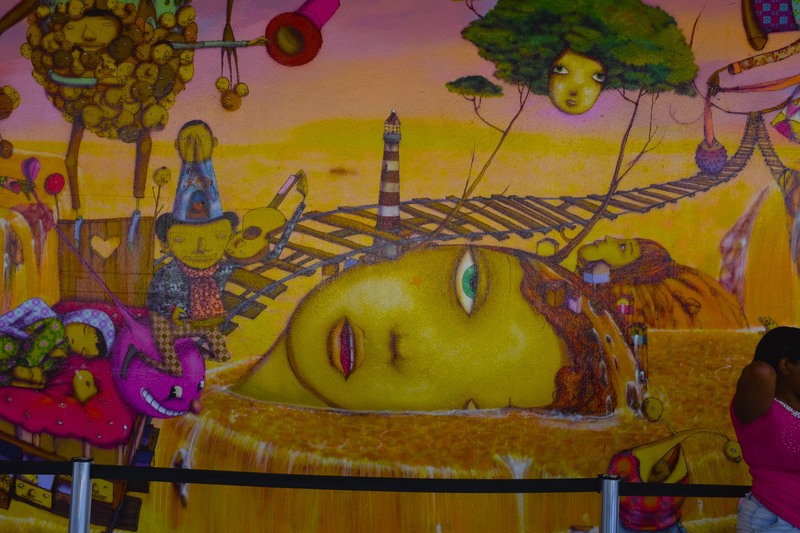 The commissioned mural in the front is by graffiti artist Os Gemeos. The Marquise is a large covered construction by Oscar Niemeyer that links several of the buildings together. Every day, skateboarders, cyclists, athletes, families and friends gather there. It provides a shaded paved area for young people to roller blade, roller skate and skateboard. 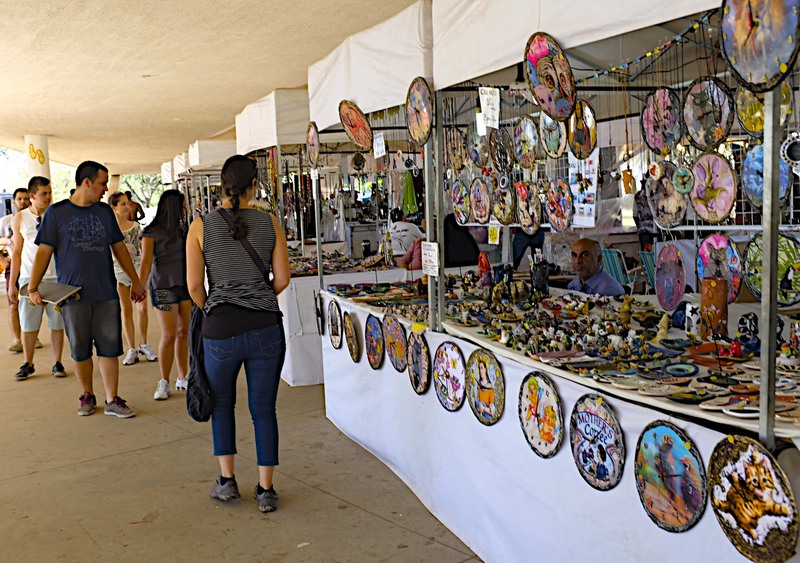 It is very crowded on Sundays and people sell food, drinks and crafts as well. 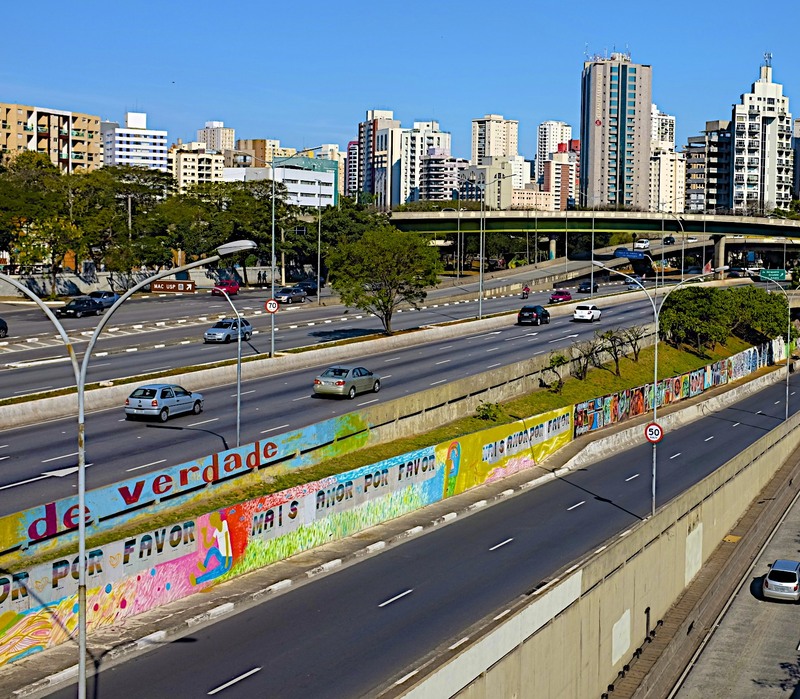 Many streets in Sao Paulo are named for Portuguese explorers and Brazilian Revolutionaries. Uber is banned at the moment due to protests from the taxi drivers unions. The mayor is hoping to find a middle ground that appeases both parties. 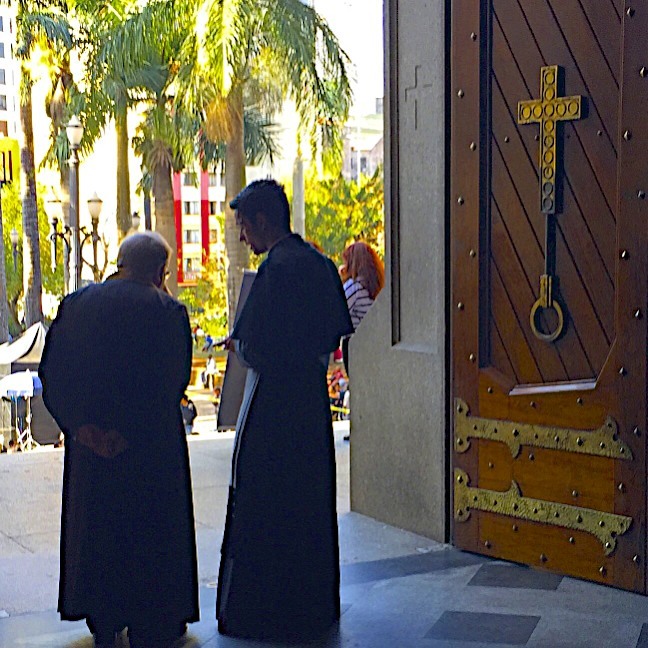 People who live in the state of São Paulo are called Paulistas. 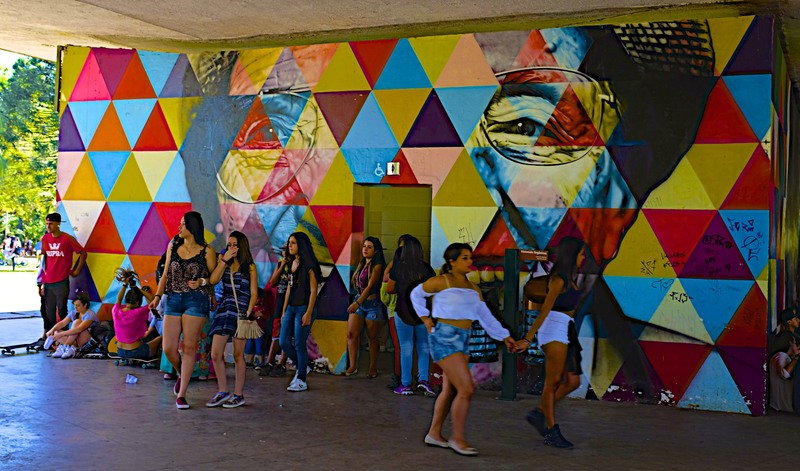 People who live in the city of São Paulo are called Paulistanos. Paulistanos love Pizza. 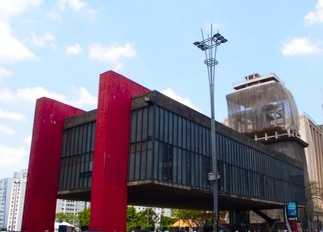 MASP is one of the cities best art museums. 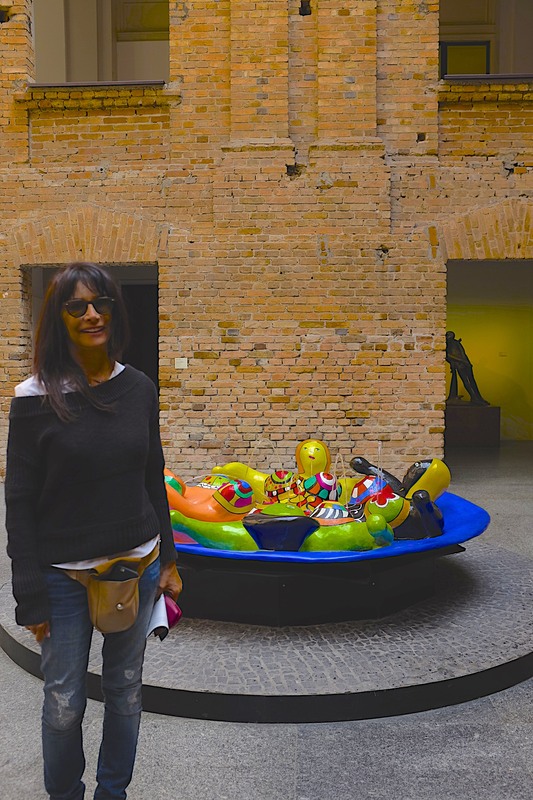 Another lovely museum in São Paulo, the Pinacoteca houses a huge collection of Brazilian art that serves as a visual story of the country’s history and cultural evolution. 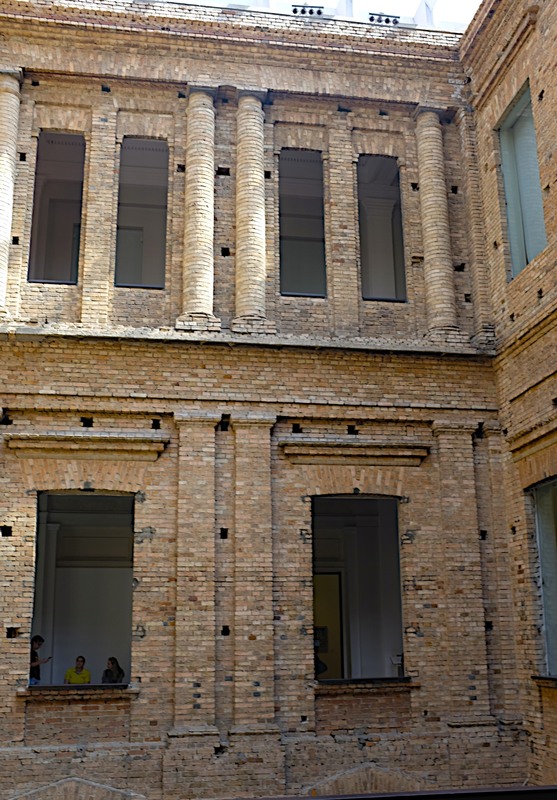 It is the oldest gallery in São Paulo and visited by many school children. 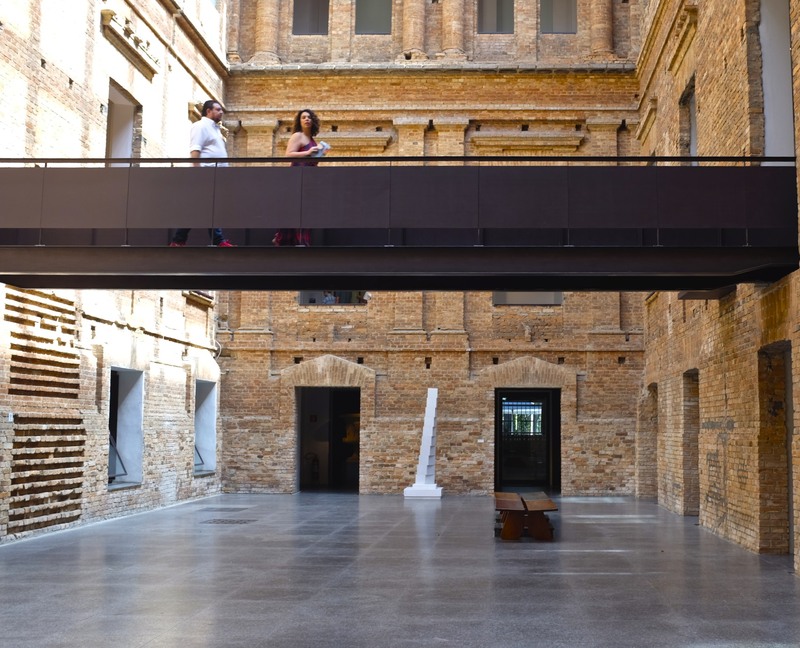 The venerable public art museum was masterfully restored in exposed-brick style in the 1990s by Paulo Mendes da Rocha, a winner of the Pritzker Architecture Prize. 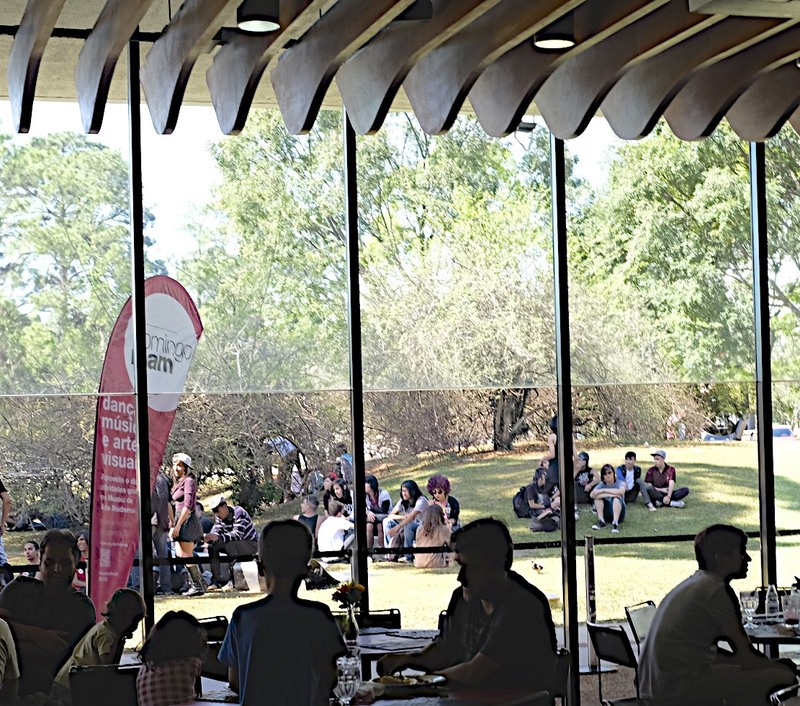 The museum has a beautiful café downstairs and is connected to Parque da Luz, a public park that includes outdoor sculptures and a European-style garden area. There are dividers between “good and “bad” parts of the city. 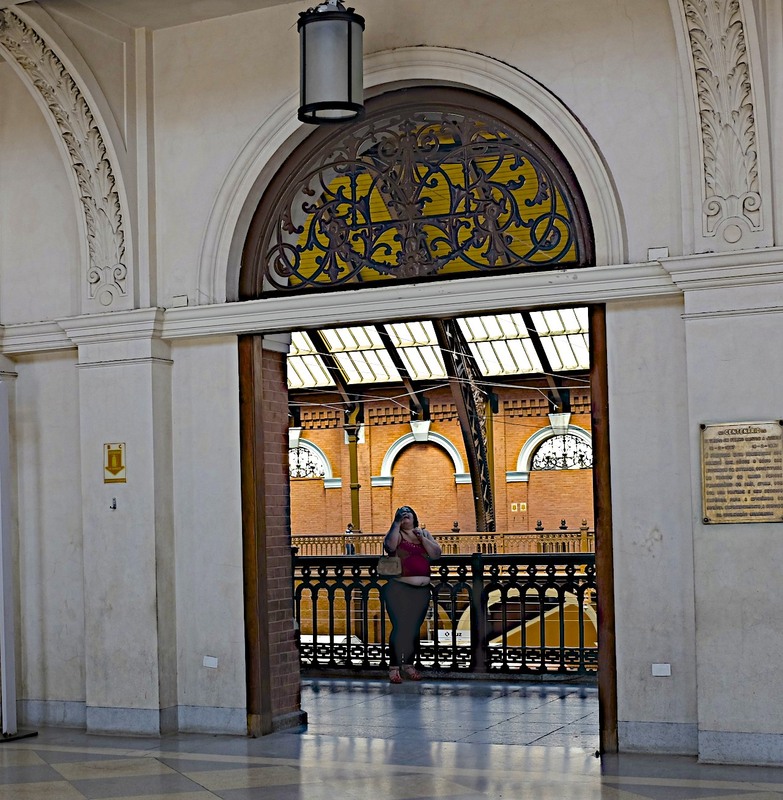 The Pinacoteca is located across the street from the Luz train station. 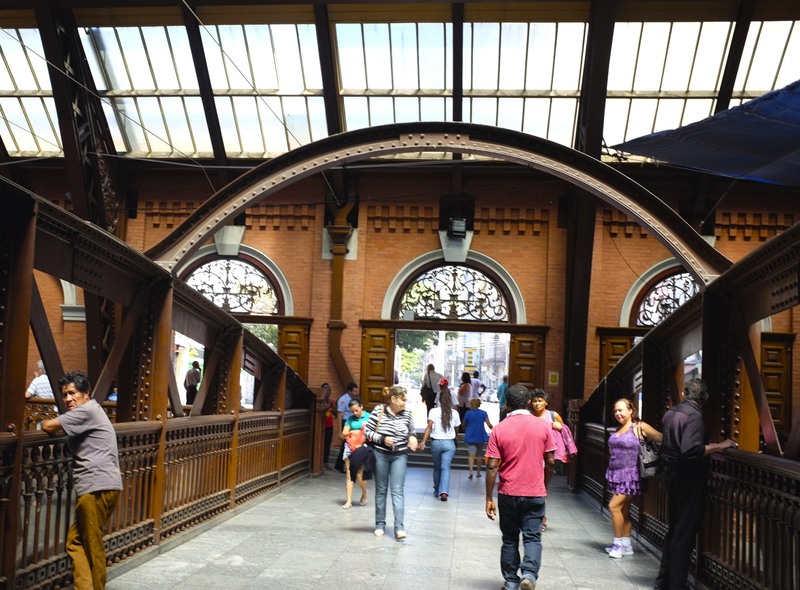 Estação da Luz is a beautiful 19th-century train station with high ceilings, intricate ironwork and narrow walkways which separates the park from one of the worst drug areas in São Paulo. It is called Cracolandia or Crackland. Prostitutes line the walkways in search of customers. 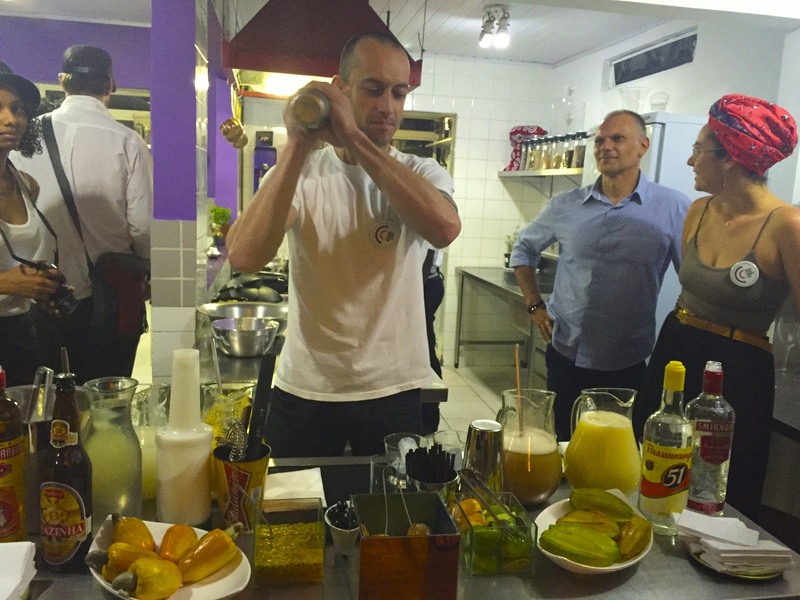 Crack cocaine has become a big problem in Brazil It is the second biggest crack epidemic since the US in the eighties. Se (cathedral) is located in the historic city center ( where the city was founded). The Neo-Gothic building took fifty years to complete because two world wars made it difficult to get materials from Italy. I have no exterior photos because see above. 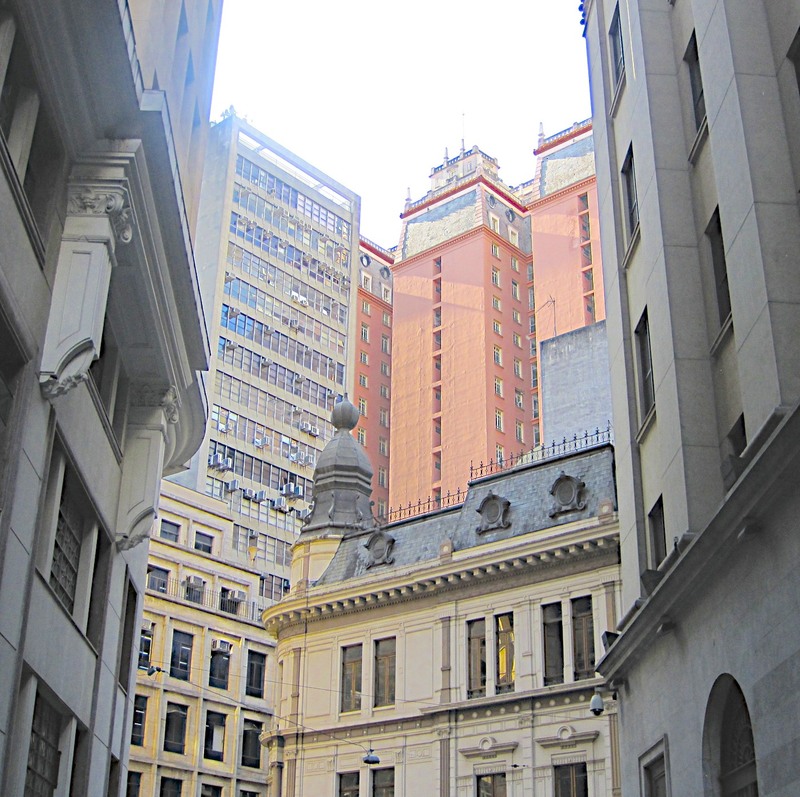 The Patio do Colegio was the original center of São Paulo.All that remains of the 16th-century building are the doors and a stretch of clay wall. It is now a historical museum the gardens of the museum is a pleasant café. The old center with its beautiful architecture and churches is still more homeless and drug infested than gentrified. 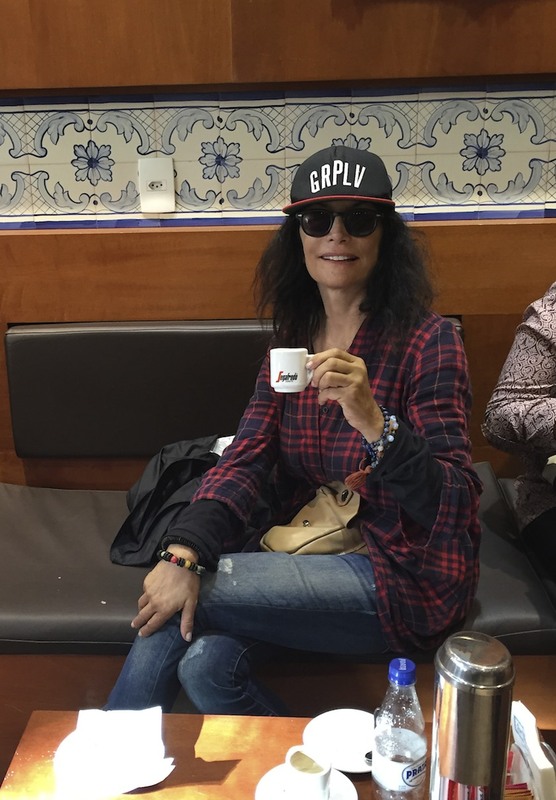 There are a few good coffee places so change is near. Casa Mathilde is a great Portuguese bakery that serves the famous pastel de nata. I have not been to Portugal ( where it is called pastel de Belem) but from the lines and conversations these are probably the best pastries outside of Portugal. Mocotó is also a cachaçaria, selling more than 500 cachaças. Alex Atala is the chef at D.O.M. 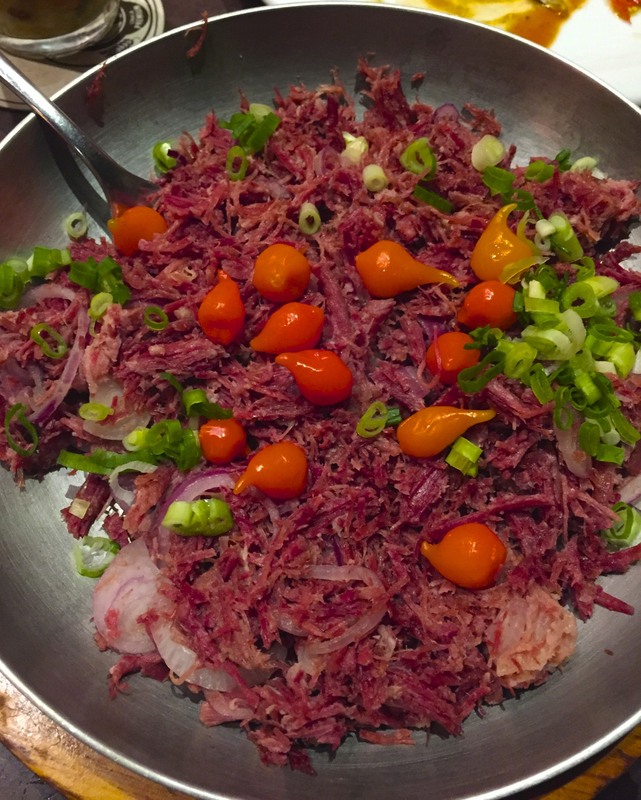 who became famous for using Brazilian ingredients in beautifully executed contemporary dishes. 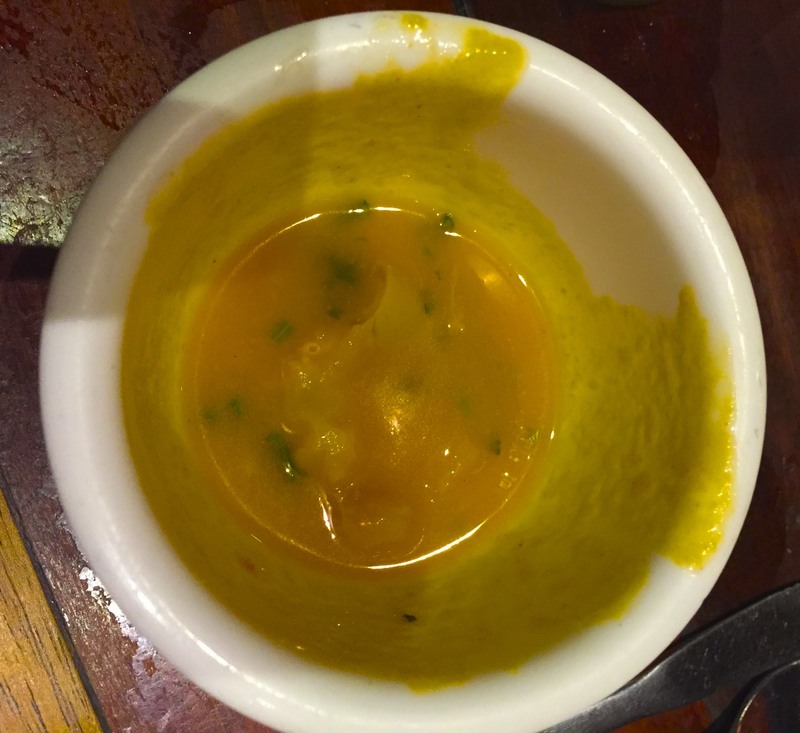 It is the ninth best restaurant in the world. 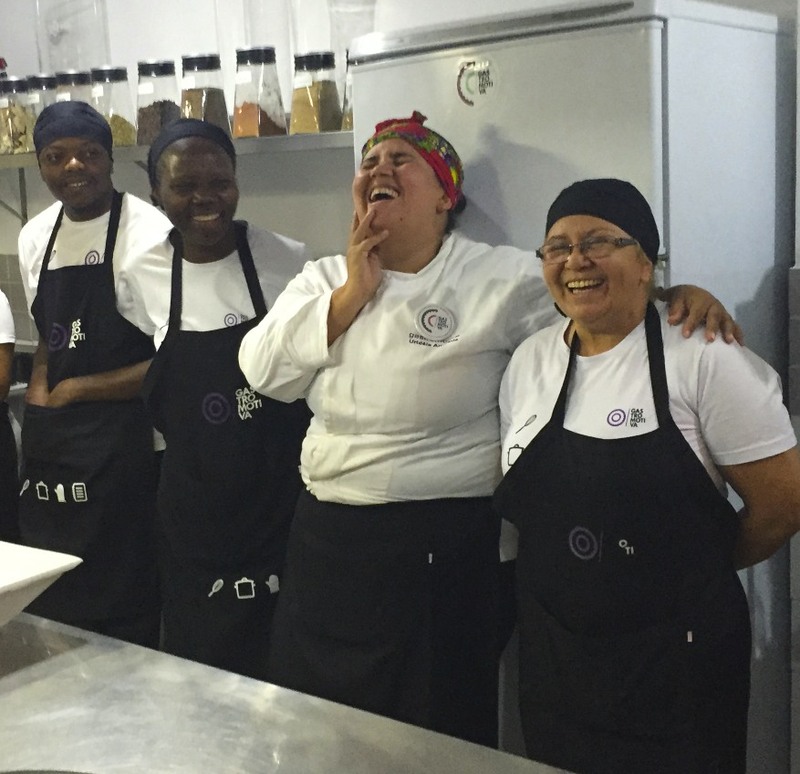 Gastromotiva is a Brazilian organization which uses gastronomy to promote social change for at risk students.They have a vocational education program for eighteen to thirty-five year olds who are passionate about food and cooking who’s families make below a certain income. 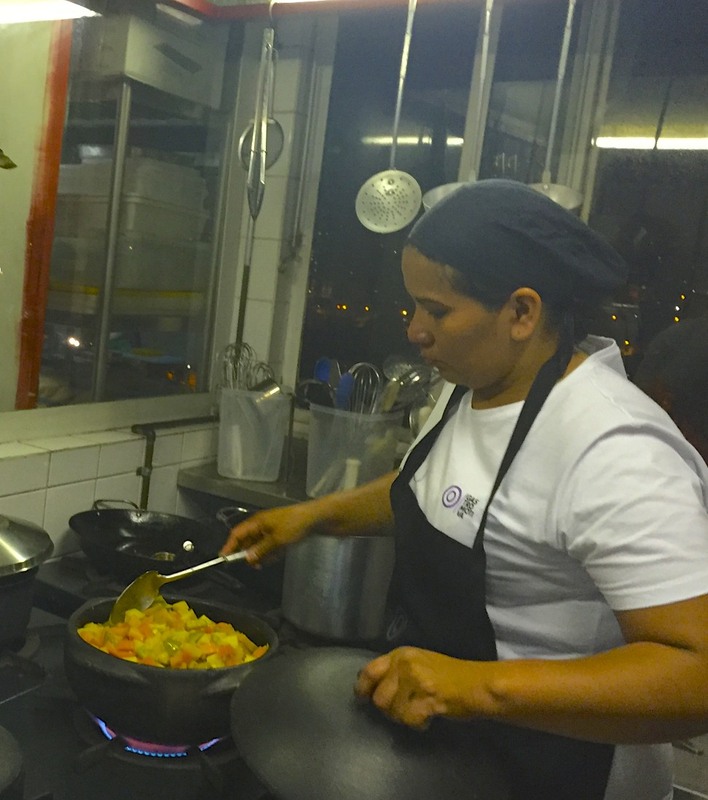 They have also instituted a cooking program in the prisons but there is a lot of bureaucracy in Brazil when it comes to prison change. 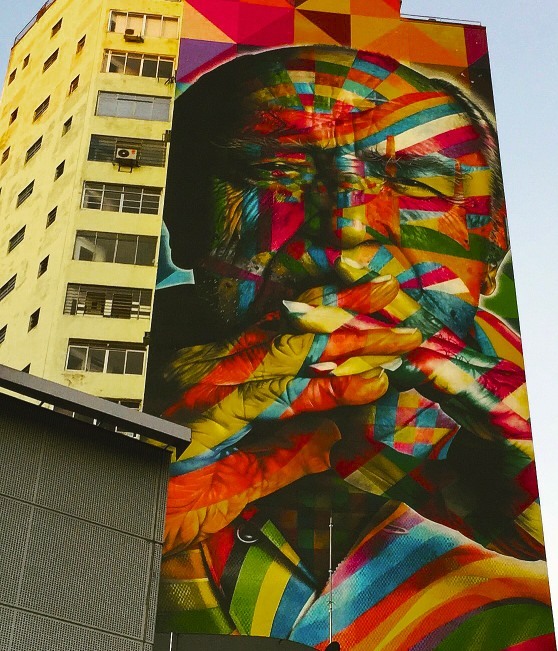 São Paulo is considered one of the best cities in the world for the development of creativity in street art. The city’s streets are filled with wonderful examples of street, especially in the city center. 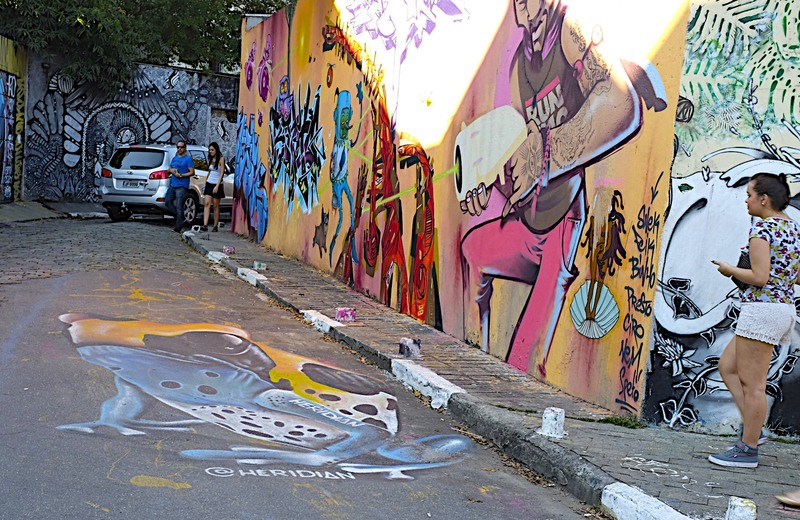 For some of the best, visit the area Villa Magdalena, especially Beco do Batman (Batman’s Alley). 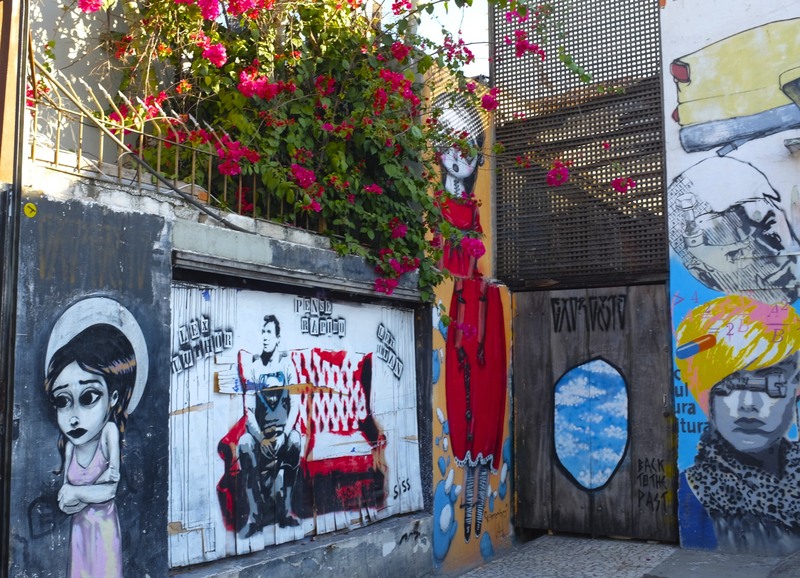 Vila Madalena is an artsy neighborhood with rows of pastel colored townhouses. 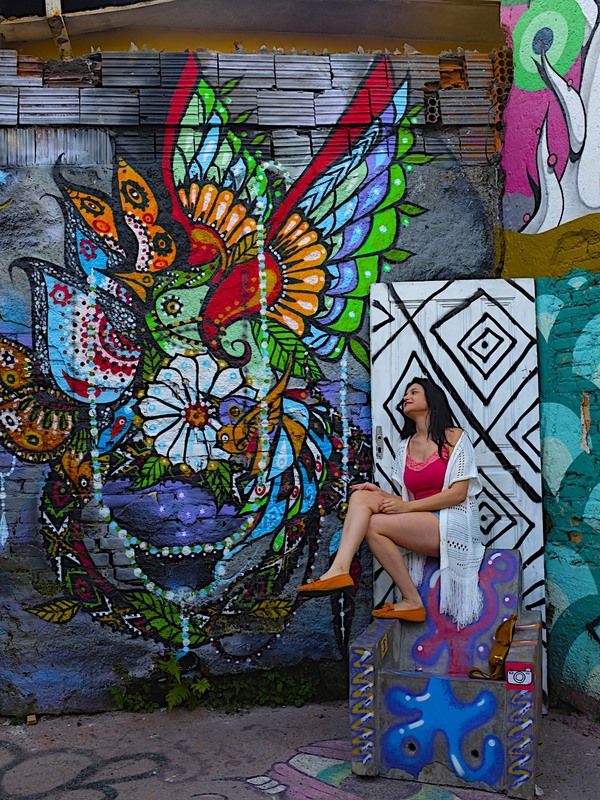 There are nice art galleries, arts & crafts shops, bookstores and great nightlife in its restaurants, corner bars, and botecos (small bar/restaurants). 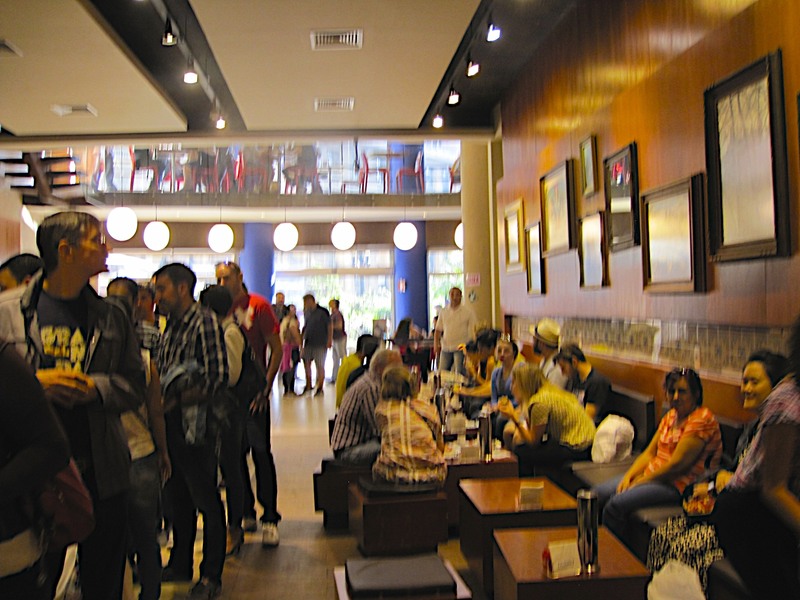 Come here for samba, or just mingle with locals enjoying live music and petiscos (tapas) at the botecos. Botecos are everywhere. The doors open to the street, tiled walls and floors, a counter stocked with fried stuff, and sometimes peanuts are served. 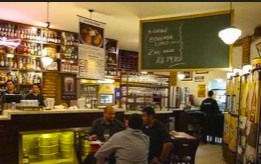 You can make a quick stop for a coxinha and a soda, or sit down for a prato feito with a bottle of cold beer. Most botecos are very simple, but there are also “modern”ones. 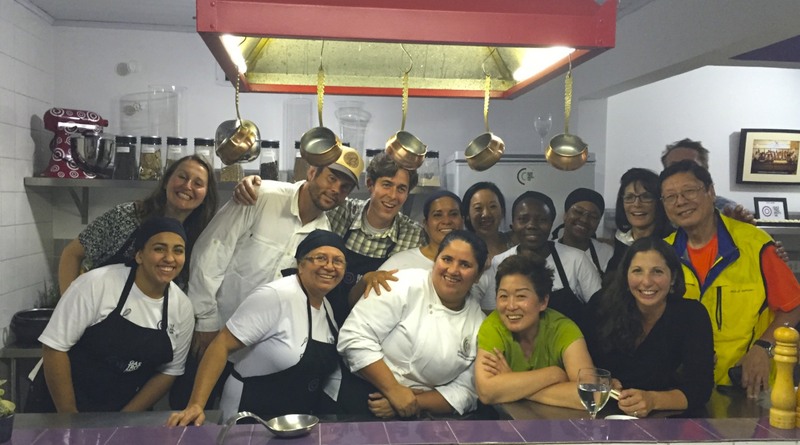 Brazil has the largest number of Japanese living outside Japan of any country in the world, and many of these Japanese Brazilians live in São Paulo. 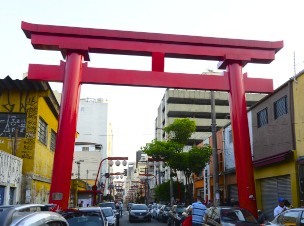 The Japanese neighborhood, called Liberdade, is a fun place to explore and see how the influence of Japan has influenced Brazilian life here and, of course, try some great food. 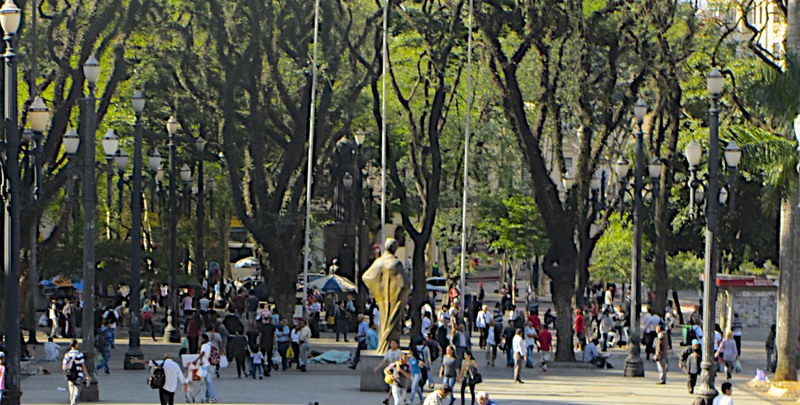 On Sundays, an enormous market takes place in the public square of Liberdade, and thousands of people from around the city attend. São Paulo is a huge city. I believe that you do what you can and next time I will see more. 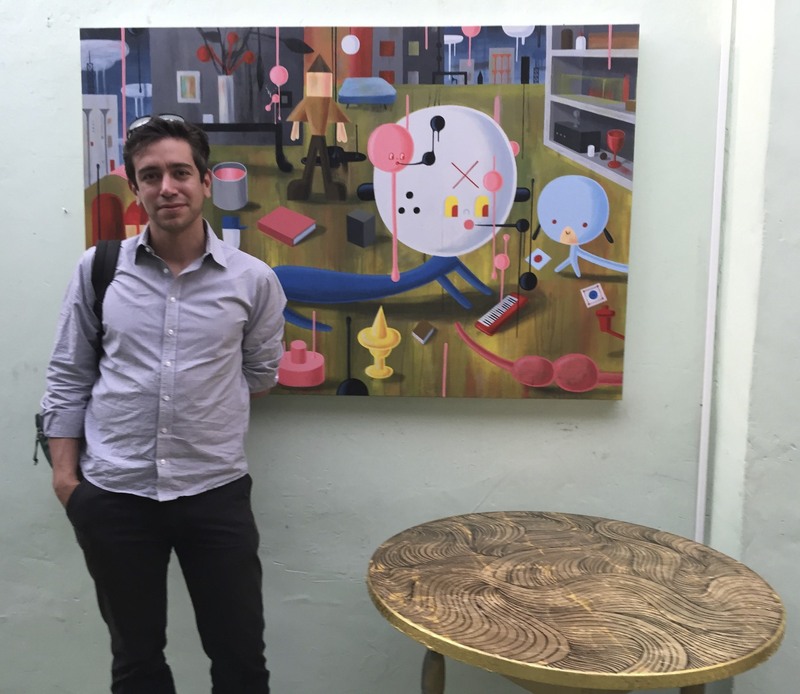 Thanks so much to our guide Arthur Simoes (who likes that painting) for his sense of humor, energy (we had some long days), patience and knowledge of São Paulo. Obrigada until the next time.